Working Lunch | Inside the Academy Apprenticeship for Women Directors features an engaging conversation with a participant from this year’s Apprenticeship for Women Directors program, and their director mentor. They will discuss their on-set mentorship experience, and the evolving role of women and the diversity of perspective that is permeating the tapestry of today’s media industry. 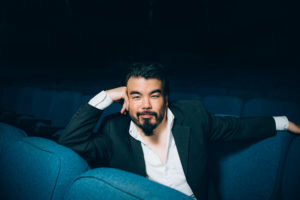 Emmy-nominated filmmaker Warren P. Sonoda directed the iconic TV shows Trailer Park Boys, This Hour Has 22 Minutes, Hatching Matching Dispatching, Odd Squad, his features Coopers’ Camera, Swearnet: The Movie, Ham & Cheese and over 160 music videos, 63 episodes of TV and 11 feature films. He also received the Queen’s Jubilee Medal for his contributions to Canadian cinema, knocked Martin Scorsese out of the Guinness Book of World Records and was the first person of colour and youngest DGC member elected as the Directors Guild of Canada’s National Directors Division Chair. He is also the Chair of the Canadian Film Fest and sat on the inaugural advisory board of Women In View x2 More. His new feature film Things I Do For Money will be released in 2020. Alicia K. Harris is Toronto-based filmmaker. She graduated from Ryerson in 2016, where her thesis film, “Love Stinks,” won Best Director and Best Production. Her films have been broadcast on CBC, TVO, Bell Fibe TV, and at numerous festivals, including the Festival du nouveau cinéma and Vancouver International Film Festival. Her upcoming short, “PICK,” has been supported by the Toronto and Ontario Arts Councils and the NFB. She was recently chosen as one of The Academy of Canadian Cinema & Television’s directing apprentices. 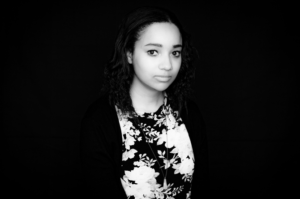 Alicia is the co-founder of SUGAR GLASS FILMS, dedicated to creating films about women and marginalized groups. Mars Horodyski is an award winning director whose most recent series credits include Murdoch Mysteries (CBC), Cavendish (CBC), Mr.D (CBC), Holly Hobbie (Hulu), Bajillionaires (NBC Universal) and Emmy-Award winning Odd Squad (PBS). 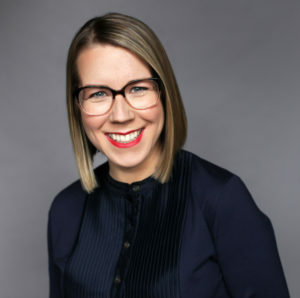 She was nominated for a 2018 Canadian Screen Award for her work on CBC’s This Hour Has 22 Minutes. Her feature film Ben’s at Home was released theatrically in Canada and aired on Netflix.